Under the global “No Country Left Behind” (NCLB) initiative, the EUR/NAT Office of ICAO developed a regional capacity building programme (i.e. the EUR/NAT Technical Assistance Programme /TAP). Implementation of this programme is ensured by a series of technical assistance projects that are supported by available funds and human resources. The central element of this programme is the resource mobilization which leads to the establishment of partnerships and cooperation between States at the regional level. Lado Kuljanishvili is Head of the Air Navigation Services Department in Civil Aviation Agency of Georgia. Since 2013 he leads a team responsible for regulation, certification, oversight and enforcement in ANS, including PANS/OPS and Charting. He started his professional career in 2006 as Air Traffic Controller in Georgian ANS provider. He moved to CAA in 2011 and deals with change and improvement related projects. One of the ongoing Technical Assistance projects, namely EUR/ NAT AZE 16001, is the support to Azerbaijan. The objective of the project is to improve the effective implementation of international standards and recommended practices by Azerbaijan and to reach at least the Global Average of effective implementation. Several missions were coordinated and organized with Azerbaijani colleagues either hosted in Tbilisi or visiting Baku to share experiences and hands-on practice. During the visits, counterparts gladly shared the views on the various technical topics and discussed the most challenging elements of oversight. 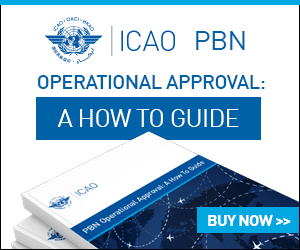 Georgian experts contributed to the preparation of Azerbaijan for the ICAO ICVM by delivering on the job training for the State Civil Aviation Administration’s PANS/OPS and Charting inspectors – one of the specific expertise in the EUR/NAT geographical area. It was an honour for Georgia to receive this invitation from Azerbaijan to participate in this capacity building activity, and it was eagerly and enthusiastically accepted. Georgian experts were glad to share the national practice of establishment and implementation of international standards. This kind of cooperation should be considered as a good example of “South to South Cooperation (SSC)” in the Eastern Part of Europe. It paves the way for deeper relations between countries, especially between safety oversight inspectors and their partners in national ANS providers. Georgia and Azerbaijan have been enjoying good cooperation in the civil aviation sector. This mutual cooperation fosters self-sustaining development, boosting stability in relations between the two countries.